It has been an exciting tradition for many year for the families of Morecambe & Lancaster to buy their real Christmas tree from Broadoak and 2018 is no exception. 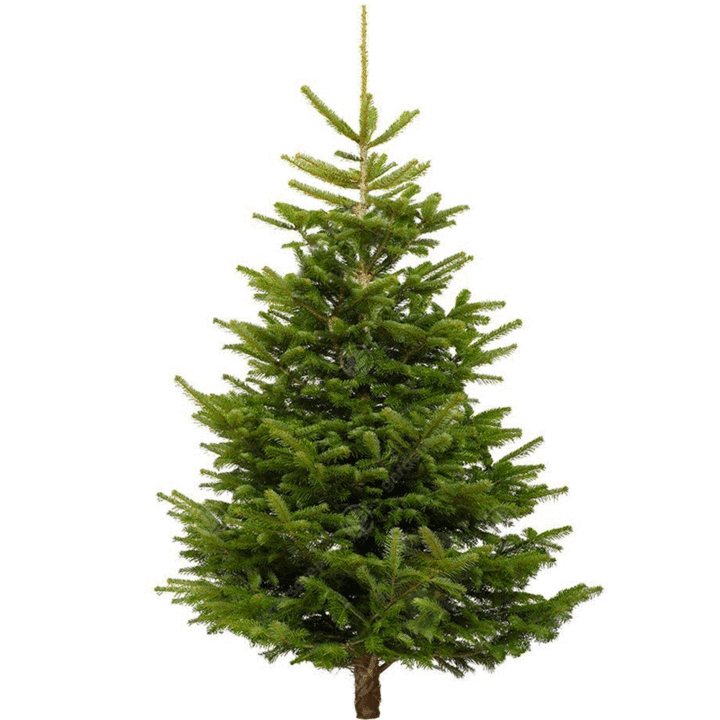 We have a huge stock of Nordmann non drop christmas trees and can deliver as far a field as Carnforth, Garstang, Kendal and the Lakes. At Broadoak Home & Garden we get very excited about Christmas and especially Christmas trees!! We set up the Christmas shop at the end of October and the trees arrive at the end of November. All through December we’re all about Christmas! All our trees are grown in the UK. Most of the trees are Nordmann non-drop trees in sizes from 5 – 9 feet. If you have a big space to fill we can provide display trees, which are 10 feet plus, to order. If you want a tree that you can plant out in the garden after Christmas we also have small, potted spruce trees. All trees are netted for ease of transportation or can be delivered for a small charge. Bases are available, either circular log bases which can be put onto the tree at the time of purchase or plastic, re-useable bases to take away. For some people, choosing a tree is a family affair! If the kids come down to help choose we’ll give them a goody bag to enjoy. If you buy a real tree remember, it’s provided a habitat for wildlife in the time it’s been growing – 15 years for the average tree. An acre of Christmas trees provides for the daily oxygen requirements of 18 people. A real tree is biodegradable – the trunk and branches can be used as mulch for gardens. Remember, when it comes to Christmas trees – Keep It Real! We also stock lights in a range of lengths and colours, baubles galore, door wreaths, Widmann light up animated villages and lots of other sparkly things and gifts! Just to make sure Santa stops at your house we have signs, stockings and Santa sacks for the kids.